The palace is known as the palace in the sky, majestically perched on top of the old city of Hyderabad. 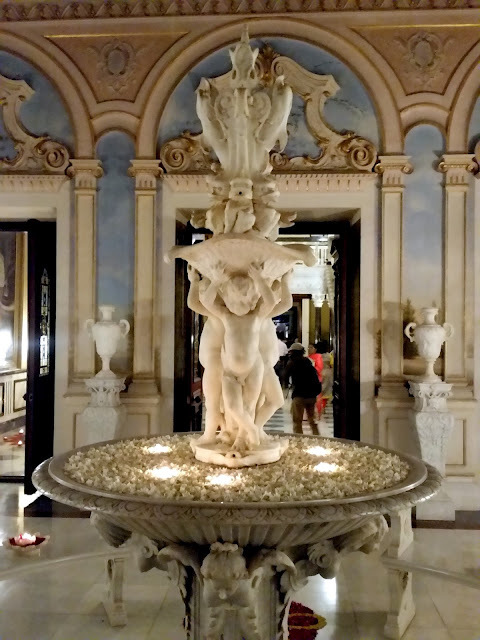 The grandeur of the palace is seen to be believed, with the heritage buildings, rare furniture, statues and murals and beautiful gardens. The view of the city of Hyderabad from the balconies of the hotel is breathtaking, especially at night when the whole city is aglow. 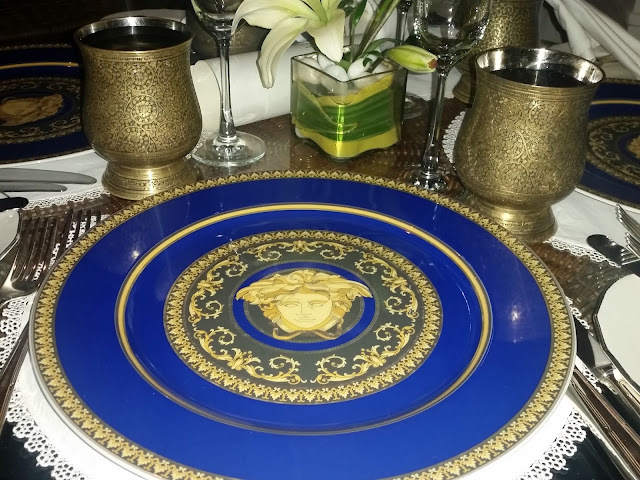 For food lovers, the two restaurants in the palace hotel Adaa and Celeste serve some delectable Hyderabadi and Italian cuisine. 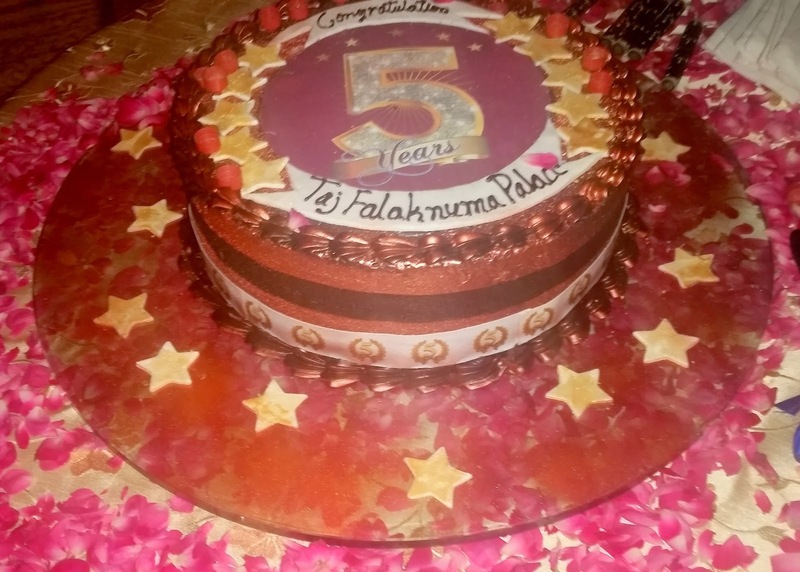 As Taj Falaknuma Palace completed five years of operation, a celebratory evening was organized for the media and bloggers by the hotel. 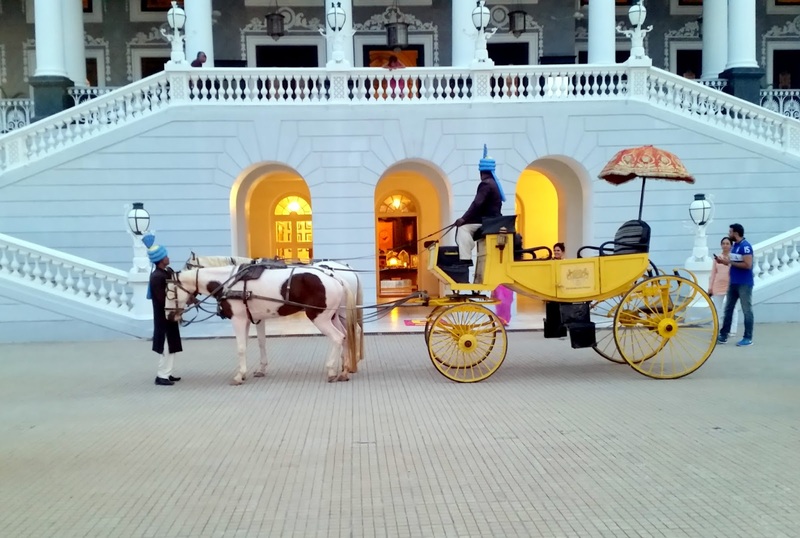 We were welcomed at the hotel gate and taken to the main building by an enjoyable ride in a horse carriage. An engaging Sufi music performance at Gol Bungalow awaited us, along with which we enjoyed with some delicious finger food and cocktails. The General Manager of the property Mr. Girish Sehgal spoke about the history of the place and the efforts taken by the Taj Group to renovate the property and establish it as one of the premier profitable heritage properties of the group. The talk was followed by the ceremonial cake to mark the occasion. Along with the anniversary celebrations, the evening was also for the opening of Coronation Hall and its new restaurant The Grills. Mr. Prabhakar, the Palace Historian walked us up to the Coronation Hall and explained its history. 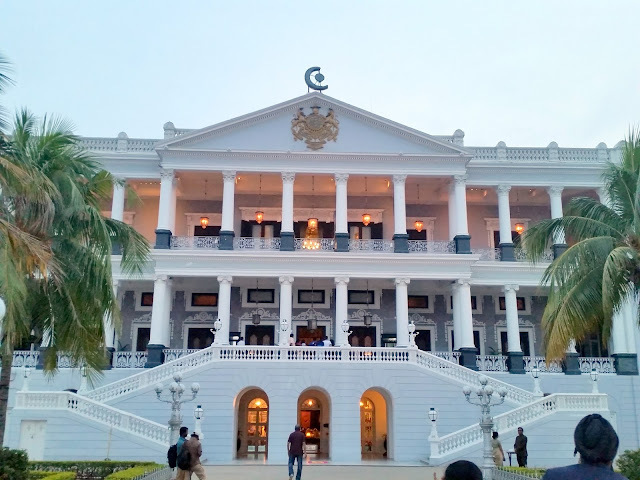 The Coronation Hall was constructed in 1907 by the Sixth Nizam Asaf Jah Mir Mahboob Ali Khan. After the Delhi Durbar in 1903 to celebrate the coronation of King Edward VII, the Nizam was so impressed by the friezes especially created for the durbar that he bought a significant portion of these, and set up a special hall in the Falaknuma campus to house them. The woodwork has Mughal, Buddhist, Hindu as well as Thai influences, and in its entirety presents to us various facets of society, religion as well as culture of that period. 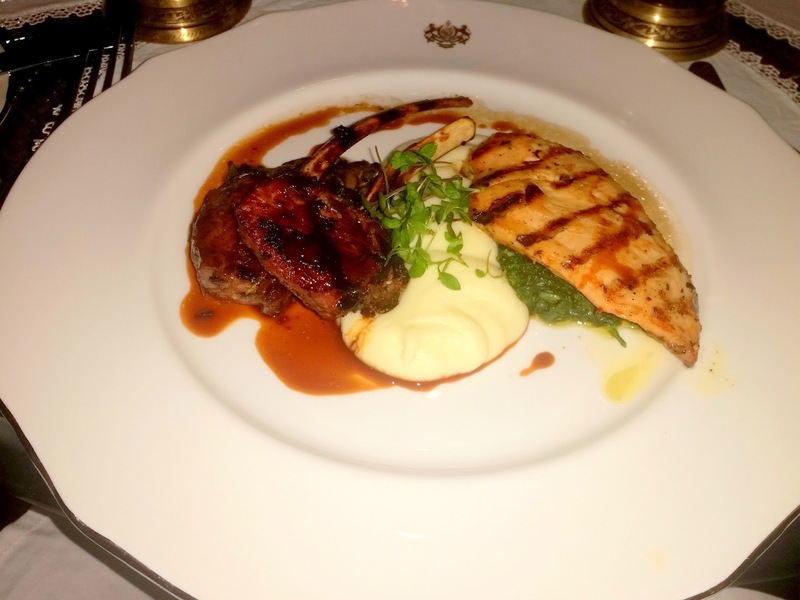 The Grills is a new addition to the restaurants in Taj Falaknuma. 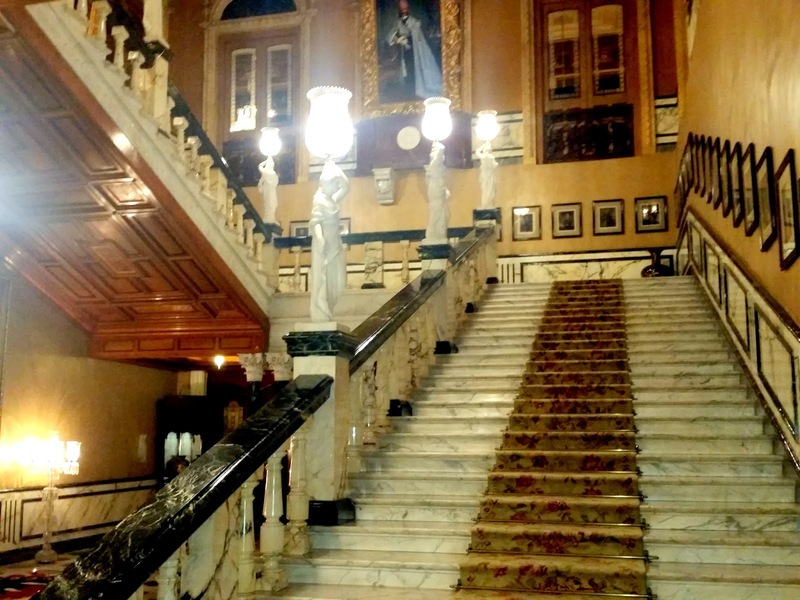 It is housed in the long verandah of the Coronation Hall with a grand view of the Old City of Hyderabad. 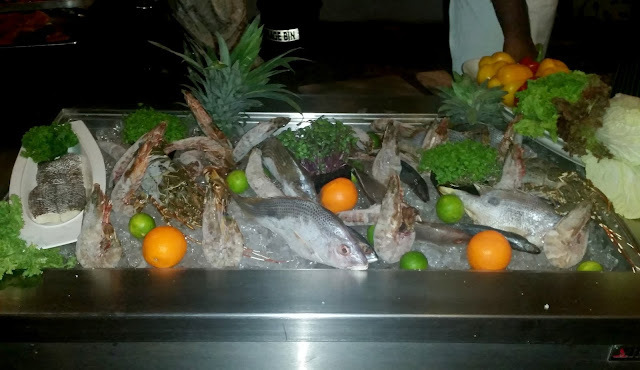 Designed to accommodate about 25 covers, the restaurant has a limited but interesting menu of continental, Lebanese, Indian as well as South East Asian delicacies. 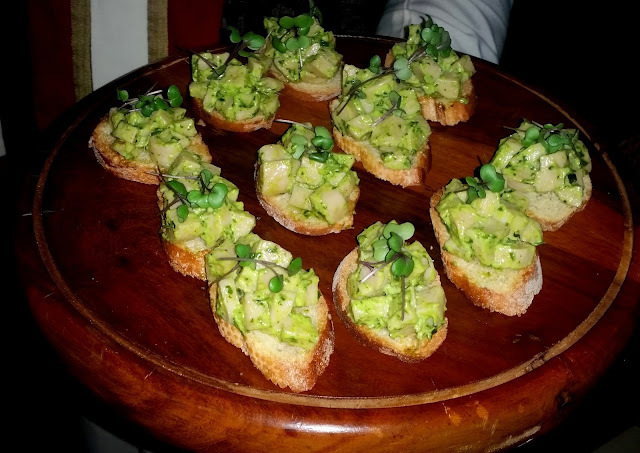 A special set menu was planned for the evening to provide the media and bloggers a preview of what to expect from the new restaurant. 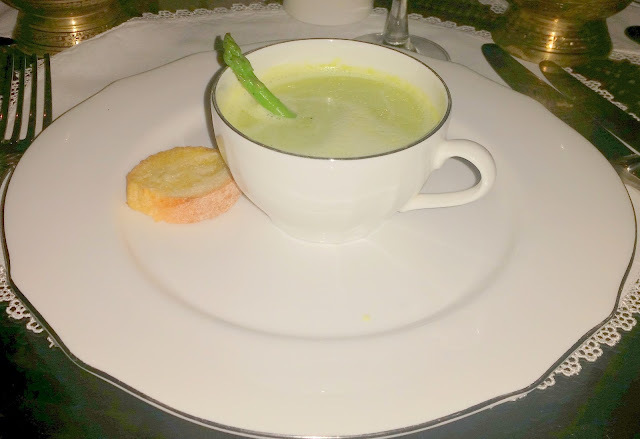 We started with Grilled Asparagus Soup. The creamy soup was thick and flavourful, and went brilliantly with the toast served with it. It was surely one of the stars of the day. The Cold Mezze Platter that followed had all my favourite Lebanese dishes – the Babaghanoush was brilliant, but the Hummus and Fatoush were decent too with the accompanying pita quarters. 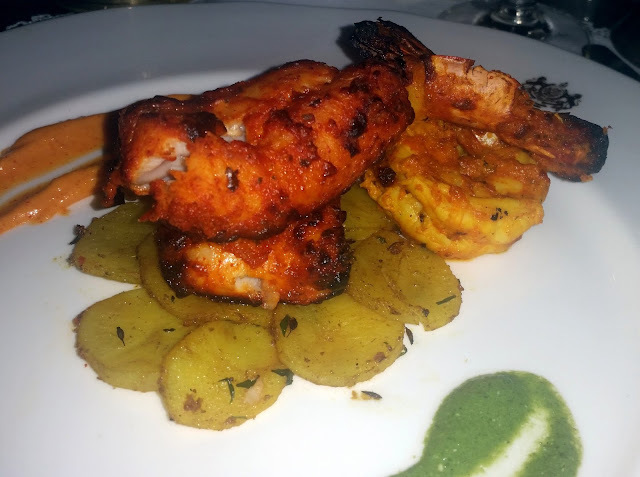 The main course had five choices to select from – I chose the Duet of South Indian Style Korameen and Achari Prawns. These were served with pudina chutney and potato slices. I loved the prawn preparation with perfect marination, which was of the correct texture – neither too soft nor rubbery. The korameen was decent though I felt that the Guntur red chillies overshadowed the other masala a bit. My friends had opted for the other two non-vegetarian main courses. The Saffron Chicken served with grilled veggies and sumac mash was one. 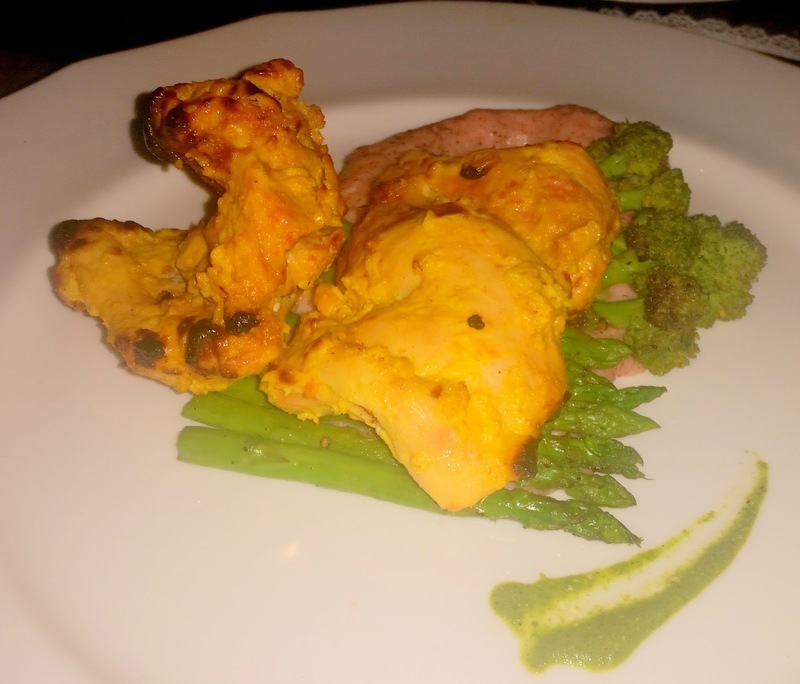 My food lover friend was talking of how the zaffran flavour in the chicken was just right and not overpowering. The Duet of Lamb Chop and Breast of Chicken was literally being devoured by the other food blogger. The special dessert of Crepes with Berry Sauce appealed to a person like me, who likes milder versions. Panacotta with Wildberry Sauce and Belgian Dark Chocolate Mousse were the other desserts served. 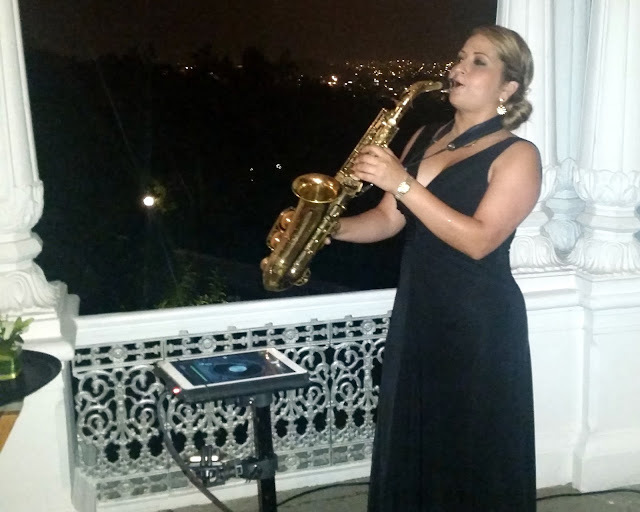 The evening was made even more memorable by an enchanting saxophone recital by Ms Dumbira Lipez from Colombia. She was shifting from western tunes to Hindi film songs with ease. As the evening drew to an end and we were boarding the buggies to take us back to the main gate, I for once felt that I had really spent some enriching time here, and vouched to myself to be back here soon. The Grills for now will be open only on the weekend evenings at the Coronation Hall. Disclaimer: The review is based on an invite by the hotel. However the opinions expressed in the post are honest and unbiased.